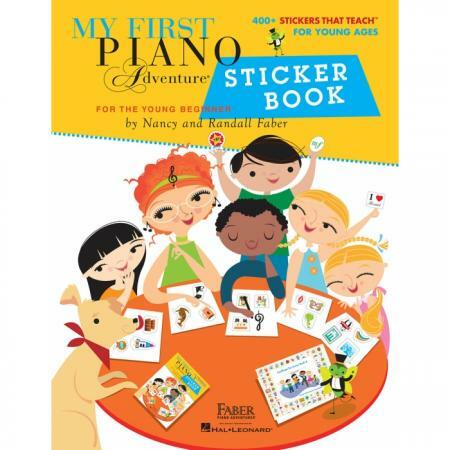 Authors: Nancy Faber and Randall Faber ► Build confidence and celebrate progress with lessons that really stick! The My First Piano Adventure Sticker Book contains over 400 “Stickers That Teach.” All your friends at the piano are here with musical questions and prompts, making each sticker a miniature opportunity for playful review. 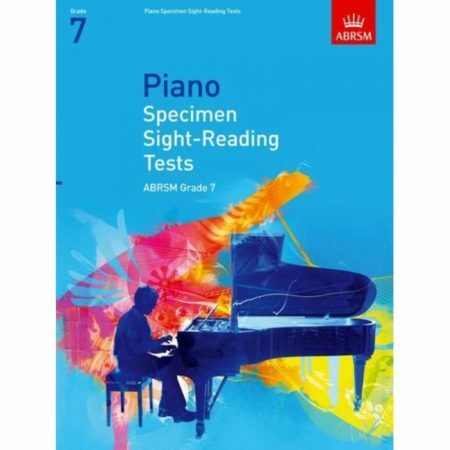 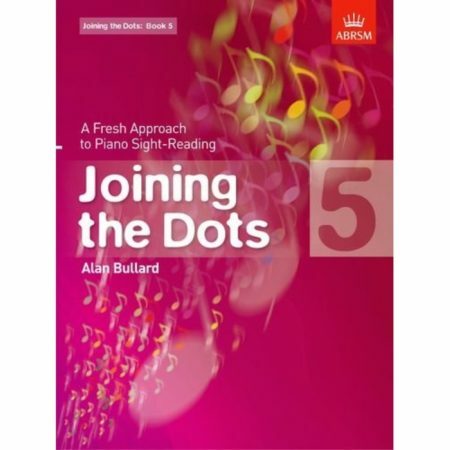 Reinforce topics of the keyboard, rhythm, treble and bass clefs, piano technique, and composers. 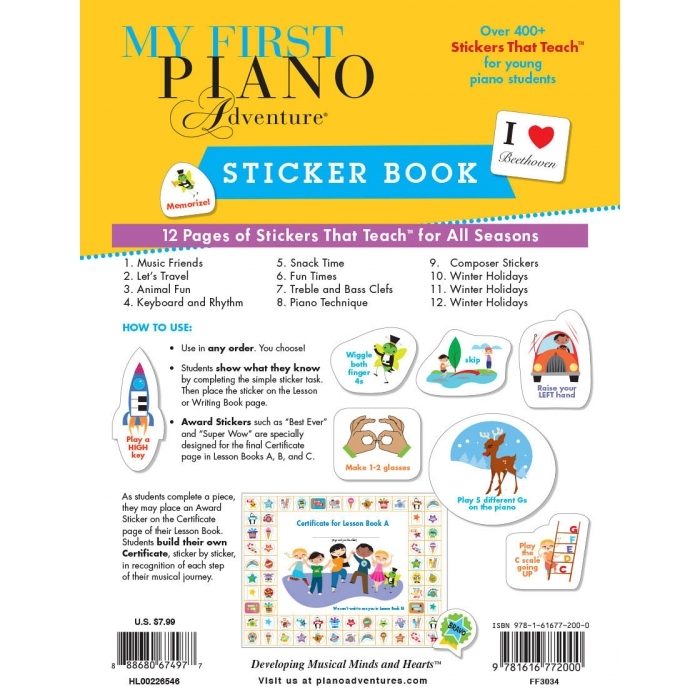 Have fun with themes for every season including friends, animals, snacks, travel, holidays, and more. 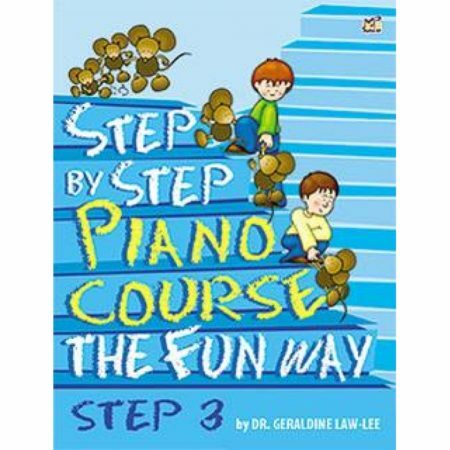 Also included are dozens of award stickers specially designed for the final certificate page in Lesson Books A, B and C. As students complete each piece, they build their certificate, sticker by sticker, in recognition of the steps along their musical journey.